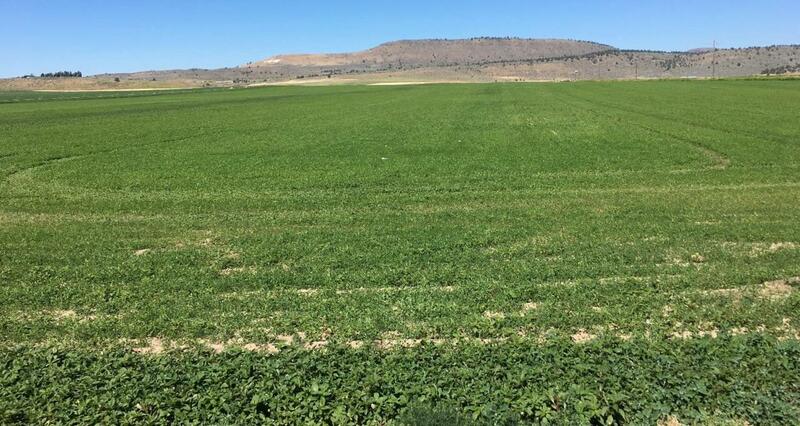 Farm with soils suitable for most crops grown in the immediate area and is presently planted primarily to alfalfa. 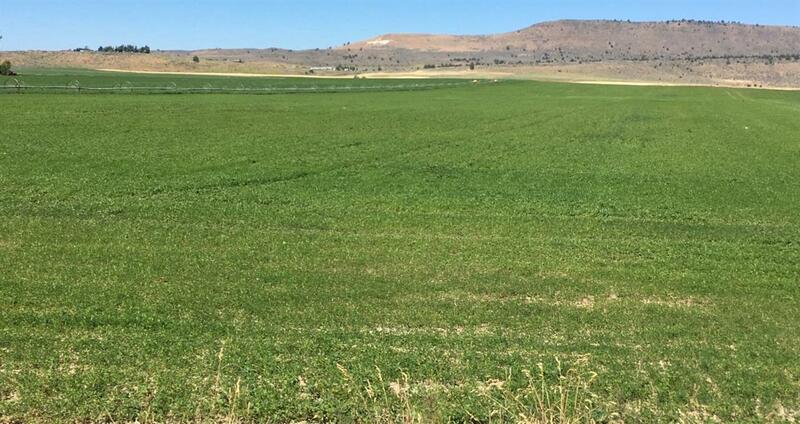 This 314.55 acre property is located 17 miles South from Klamath Falls. 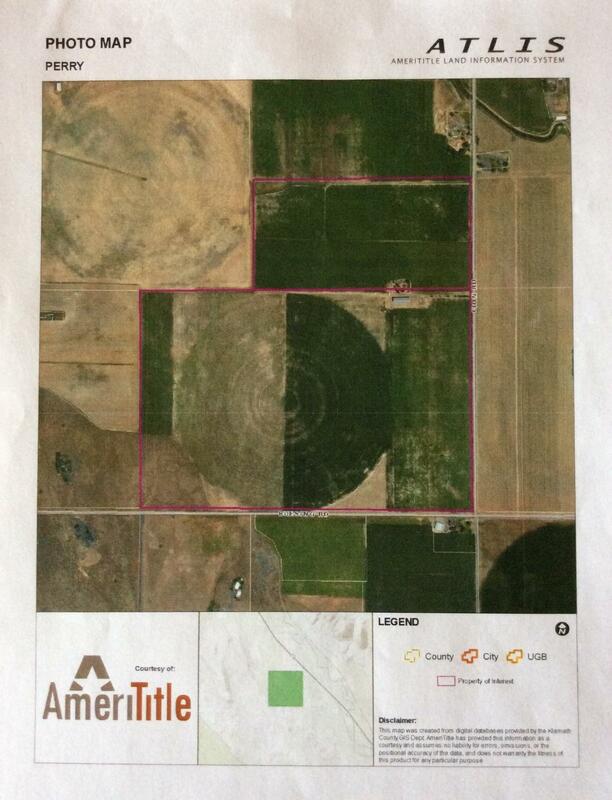 The property has two separate parcels: R99841 which has 235.45 deeded acres with 179.9 acres KBID water right and 43.3 acres Warren Act water right; and R99636 which has 79.1 deeded acres with 17.7 acres KBID water right and 63.7 acres Warren Act water right. The KBID and Warren Act water rights are supplemented by a well permit for 293.9 acres. There is a hay barn and manufactured home located on the property. Irrigation equipment included are: 100HP, 75HP, and 50HP pumps, 8 tower pivot, and four 1/4 mile wheel lines. The property is sold on an As Is, Where Is basis. Buyer must make offer based upon Buyer's personal inspection of the property and not upon any representations or warranties of Seller or Agent.